Step into Art Millican Jr.’s magical world at Sleepy Hollow, a fairytale land of fanciful gardens and enchanted dwellings where hobbits, gnomes and gremlins seem right at home. A former senior artist and model-maker with Disney, Millican has created a “magic kingdom” with colorful storybook houses stepping up the hill to his studio. Inside, the spell extends right into the woodworking shop where fairytale huts, gnome homes, gypsy wagons and hillbilly houses are custom-designed and built, their trim and adornments handpicked and hand-painted, and whose design principle is dictated purely by whimsy. 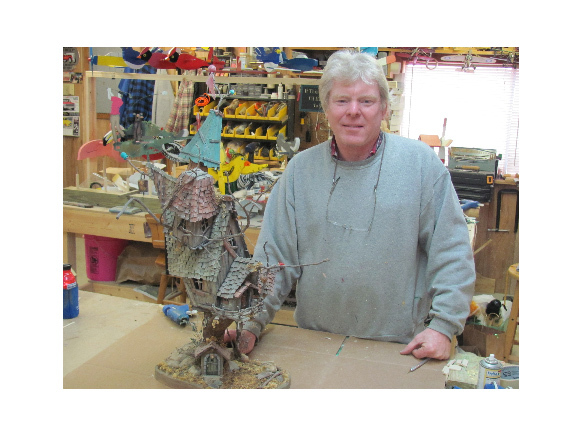 706-379-9622; Art Millican ; www.whimsicalfairygarden.com or contact our Tourism Director. 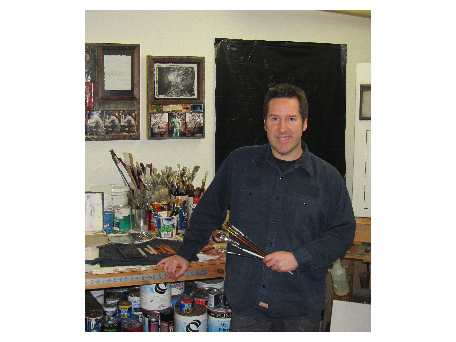 Blairsville native Al Garnto is a kinetic sculptor and painter whose work encompasses recycled materials and includes everything from large scale mixed media paintings to kinetic sculptures, art pieces made from recycled materials and then put into motion by harnessing the wind’s energy. Some of Garnto’s sculptures may be seen at Meeks Park, about one mile west of town. Garnto is also known for his Nottely River Series of Giclée paintings and watercolors (Giclée is a French term meaning to spray or squirt), taking his inspiration from the place where he swam, rafted and fished as a child. algarnto@gmail.com ; www.algarnto.com or contact our Tourism Director.